Get more food in more bellies faster with simple, powerful, and profitable online and mobile ordering tools. When your customers are hungry, where do they turn? Control the customer experience and deliver a great online ordering experience right on your website, fully customized to match your brand and your menu. Those third party integrations can be a real headache, and nobody wants to manage multiple systems if they don’t need to. Stop changing prices, adding items, and creating coupons in two places. Stop dealing with the hassle of systems that don’t play well together. 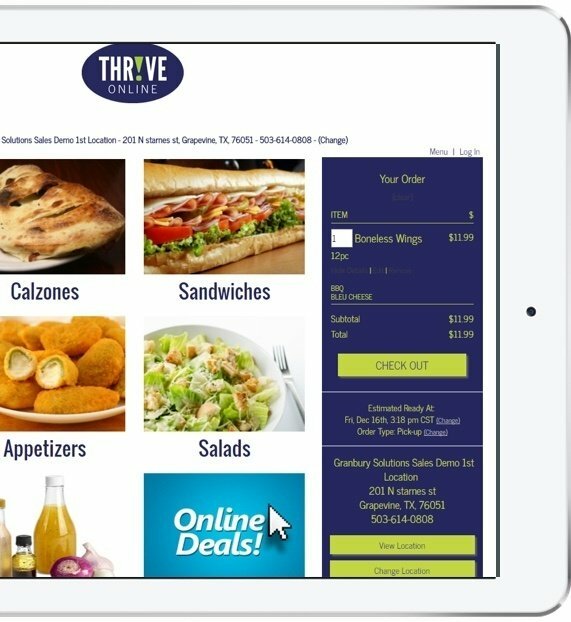 Thr!ve Online relies on the same data - and the same business logic - as your Thr!ve POS system, so updates and operations are seamless. 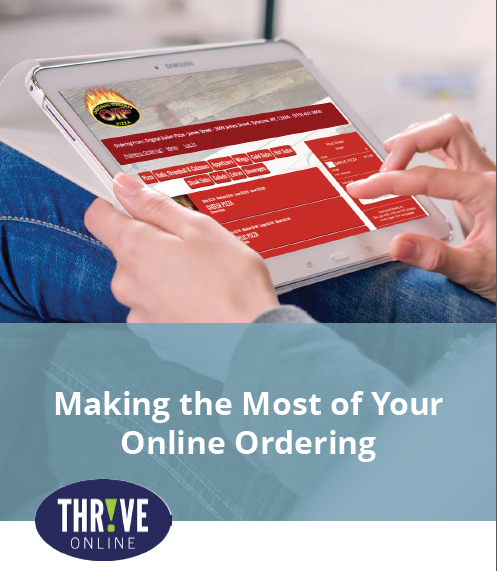 Online ordering is more than just a convenient way for your customers to order. Put the power of suggestion to work for your restaurant and increase ticket averages with tools that help your customers find just what they are craving. 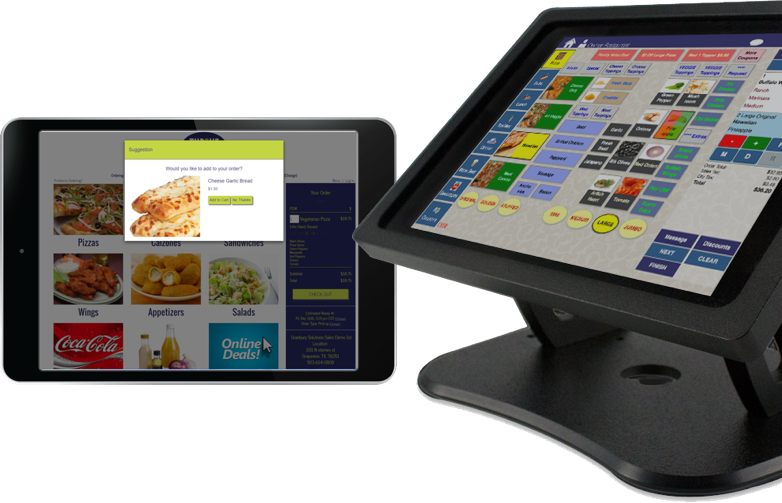 Make ordering convenient - from desktop, mobile or tablet - so your customers will choose your food more often. When customers control the ordering process, accuracy and satisfaction go up, and your costs go down! 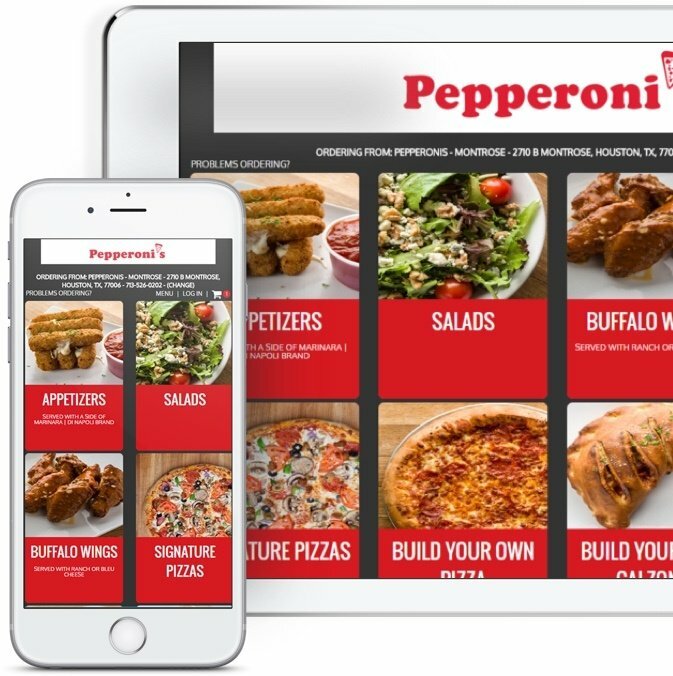 According to the 2016 Pizza Power Report, independent pizzerias that are slow to adopt online and mobile ordering technologies are losing business to chains. This past year, independents' average sales dropped 5% while chain operators logged an increase of 3%, thanks in big part to investment in technologies like mobile and online ordering. Not all restaurant online ordering vendors are created equal (and not all of them will play nicely with your POS). The Thr!ve Suite is fully integrated, so everything works together. Your menu is what makes you superior to the chains: a superior product with superior ingredients. Thr!ve Online takes your complete menu - you can even provide your own product photography - and builds it into your website’s ordering portal. Third party order aggregators like GrubHub and Yelp may help to bring you new customers, but high per-order costs and slow reimbursements mean you don’t want to rely on them for your regulars. With Thr!ve, you can easily integrate with them while sending returning customers to your own site. All of this may sound fancy, but it won’t break the bank. In fact, online ordering can pay for itself with just a few orders a month. Even if you don't offer delivery (yet), online ordering is already a point in your favor...but a poorly designed ordering experience can leave potential customers frustrated. For example, not detailing size descriptions or missing email confirmations can be costing you repeat (or even current) business. Focus on delivering convenience at every steo of the order.